Strictly limited 1,000 released globally and only 60pcs in the UK! The carry case has an enhanced look. Made from high-quality polyurethane leather, it also features gold-coloured elements. Considering purchasing the Pioneer HDJ-X10C Ltd Edition Carbon DJ Headphones? Have questions? Ask people who've recently bought one. Do you own the Pioneer HDJ-X10C Ltd Edition Carbon DJ Headphones? Why not write a review based on your experience with it. 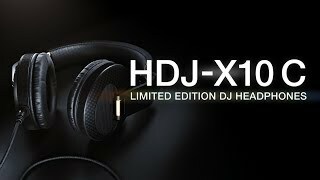 Seen a video for Pioneer HDJ-X10C Ltd Edition Carbon DJ Headphones online or have you own video? You will earn 2,156 loyalty points with this product worth £5.39, when logged in. 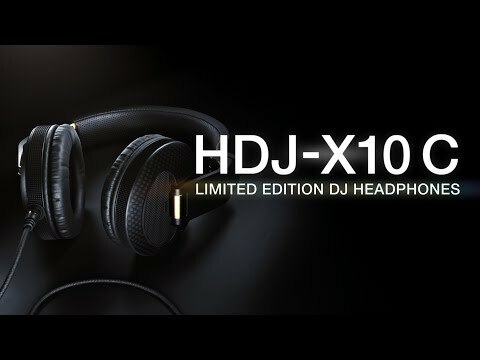 Check out Pioneer HDJ-X10C Ltd Edition Carbon DJ Headphones on DJkit.com!